This is a pair of hand-lettered ads for an investment management firm with a purpose. Unlike many of their competitors, they invest on behalf of their clients — from large institutions to parents and grandparents, teachers, nurses, doctors and people from all walks of life. Their promise is to give their clients insight into what to do with their money, providing products and services that can help them build a better financial future. 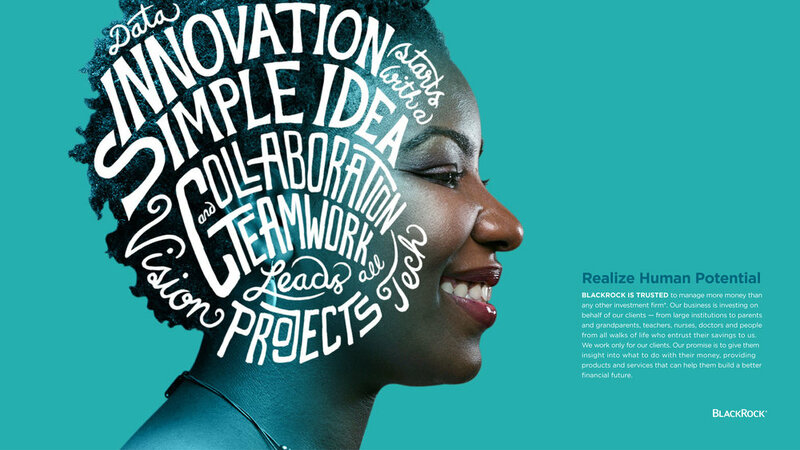 This campaign puts a human face to financial services, and uses bold customized lettering to express the firm's core values.